USB Debugging can be enabled in the Developer options. 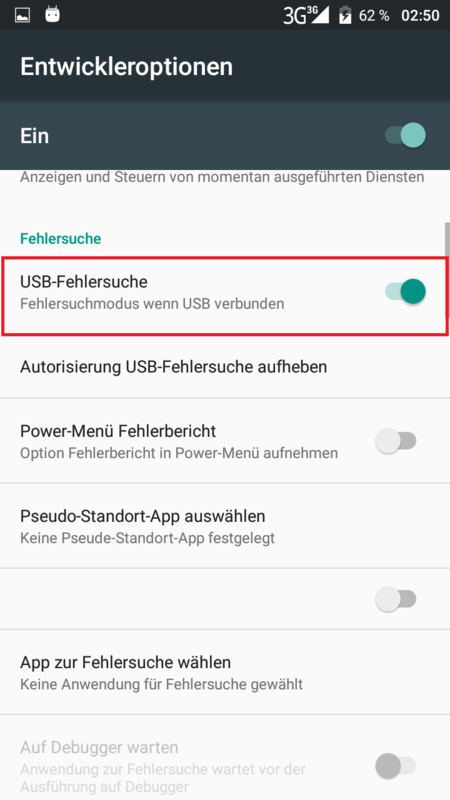 Unfortunately, there was no “Enable USB Debugging” checkbox on my Homtom HT17 pro. After scrolling through all the settings, enabling and disabling some features I finally found it. In German it is called: “USB-Fehlersuche”. Translated in English: “USB-Error-Diagnostics”. Enabling this feature seems to enable the USB debugging.